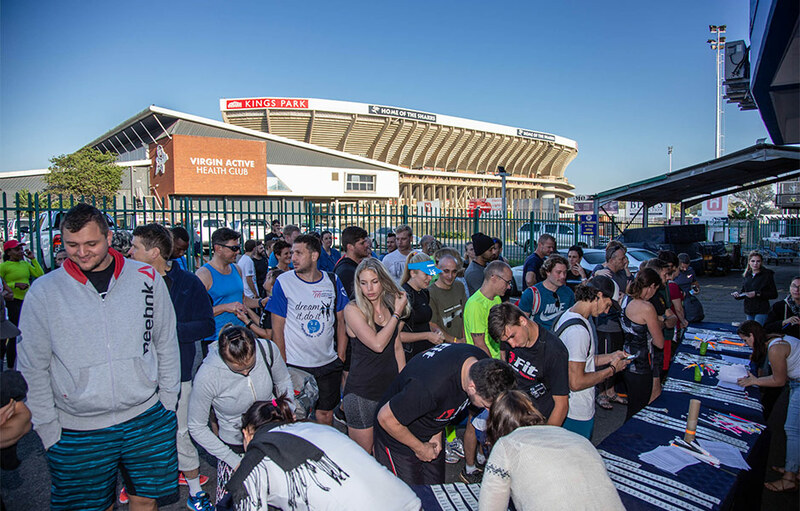 It was race day and there we were sun-cream covered, backpack full of gear, comfortable all terrain shoes laced and we were awaiting the starters orders. 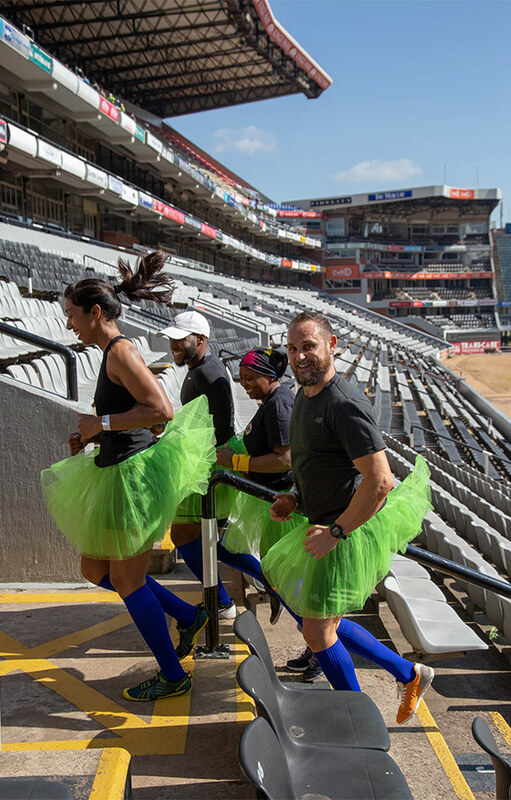 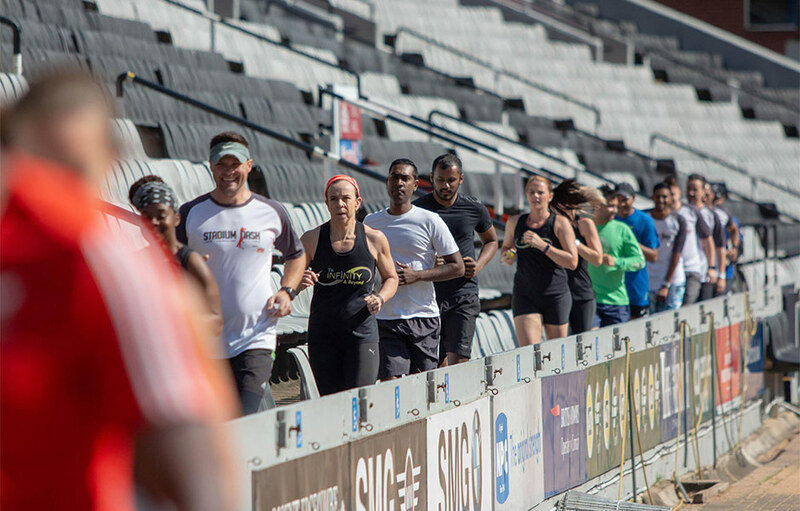 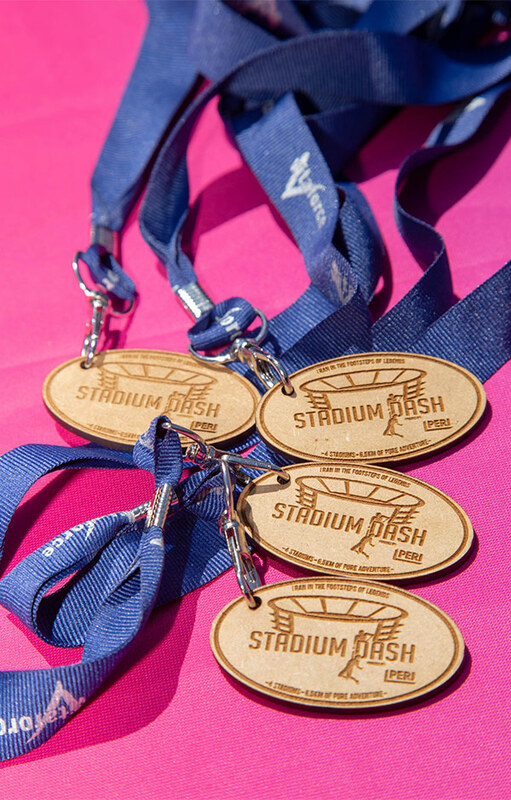 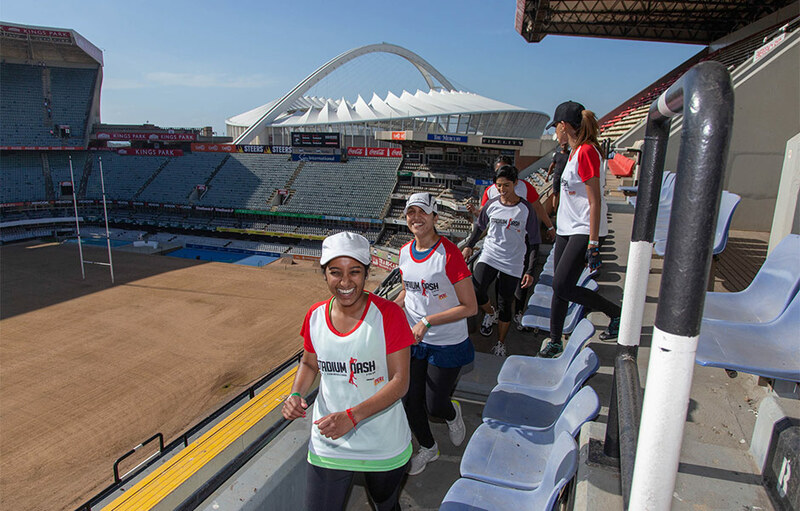 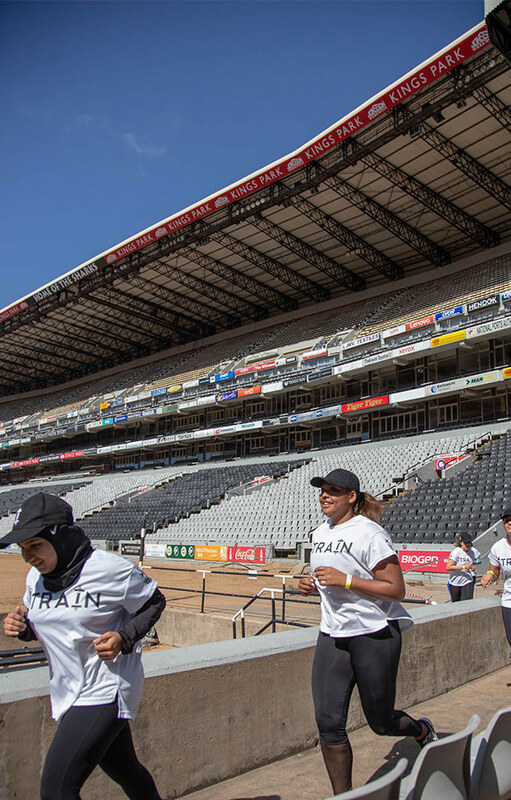 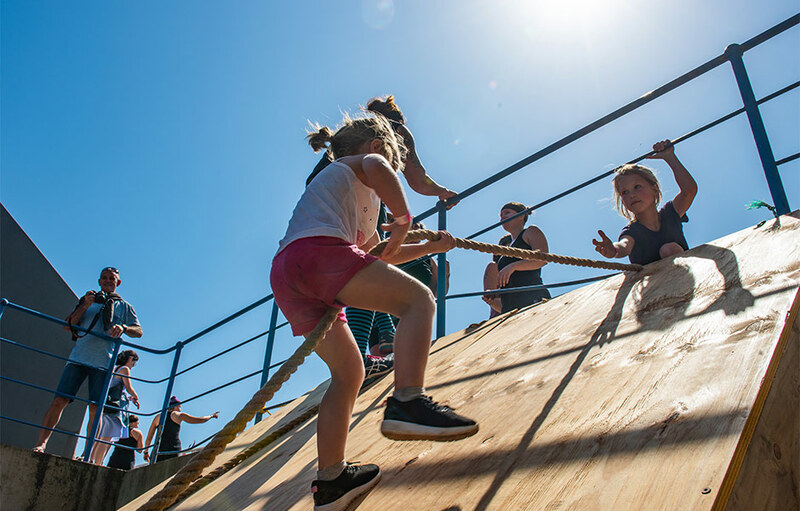 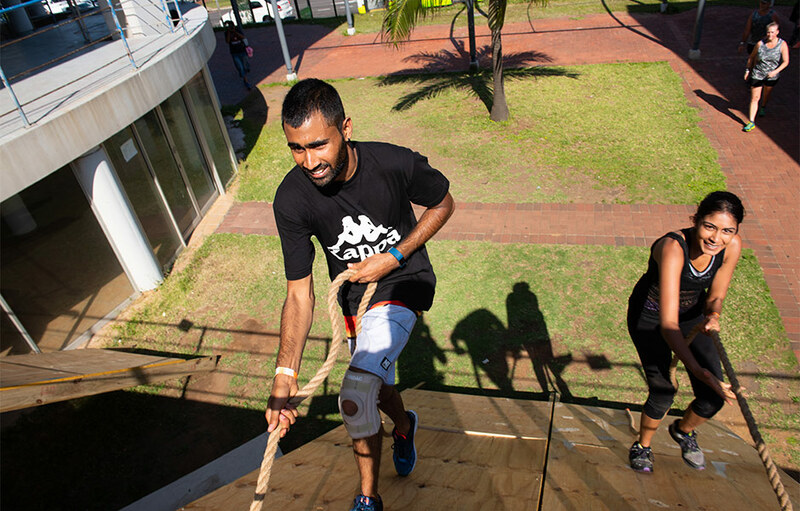 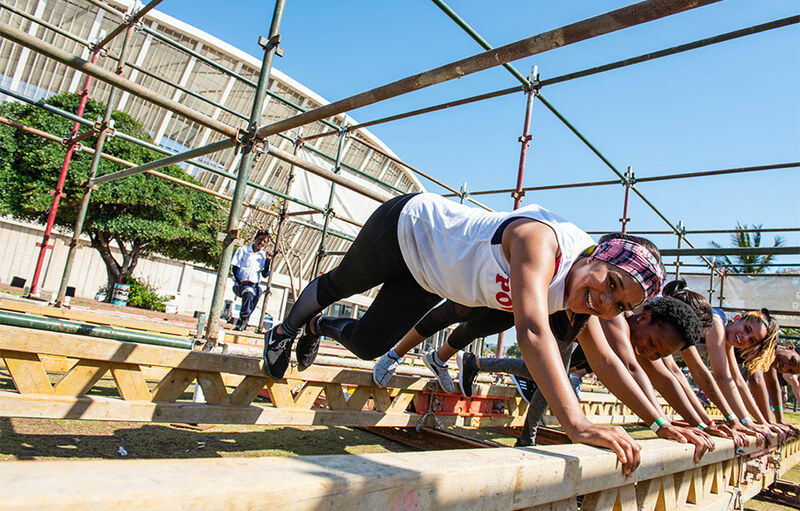 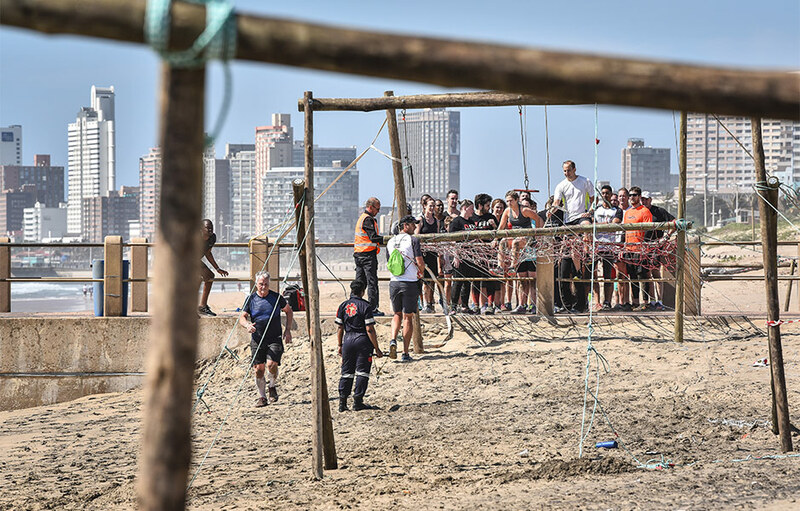 It was the start line for the stadium dash and batches of ultimate obstacle race athletes were ready to take on the 6,5km course and we were there to cover the multi discipline adventure race. 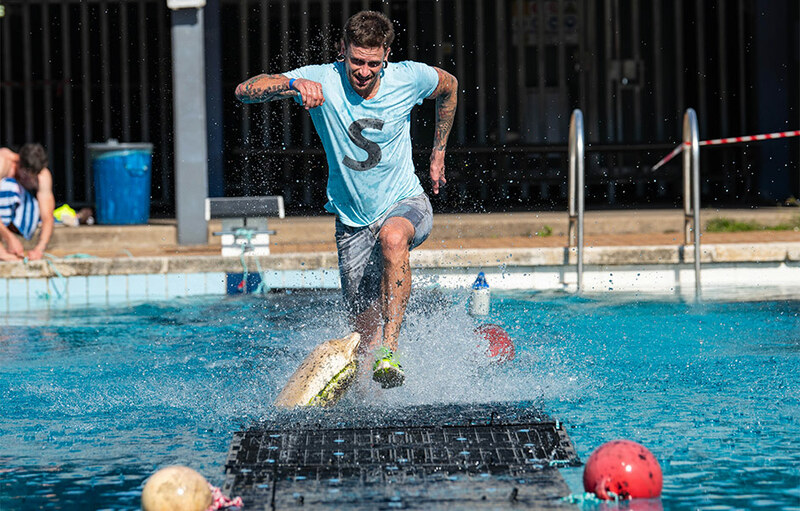 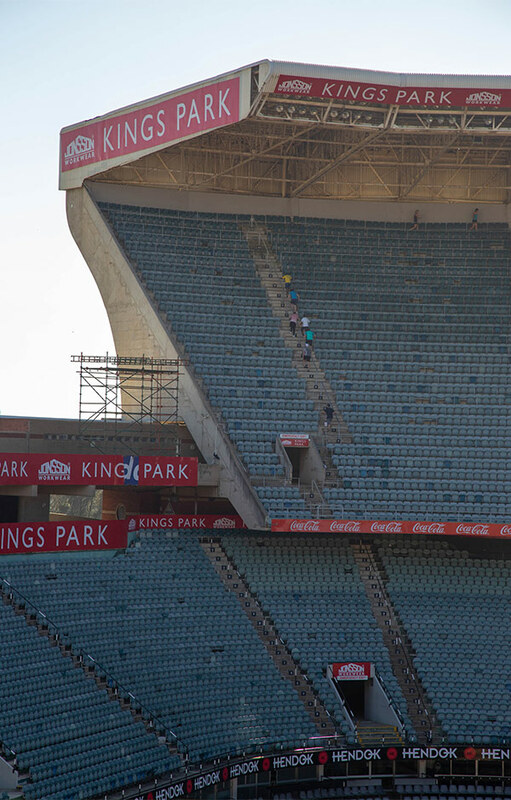 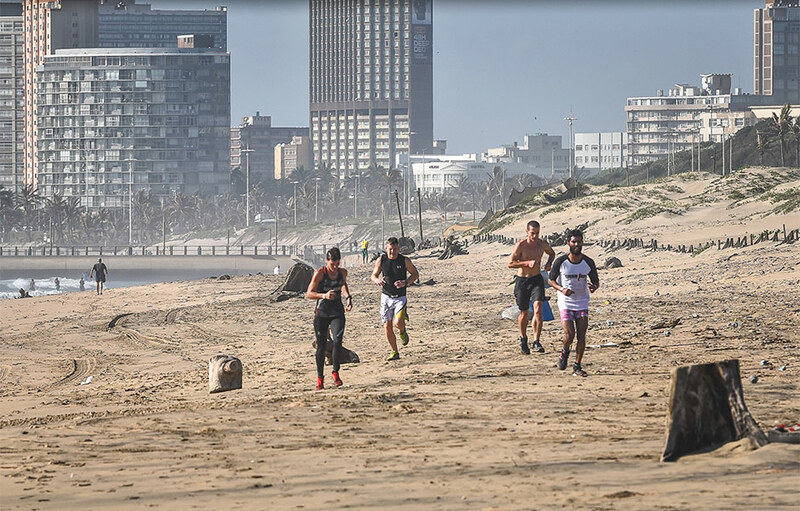 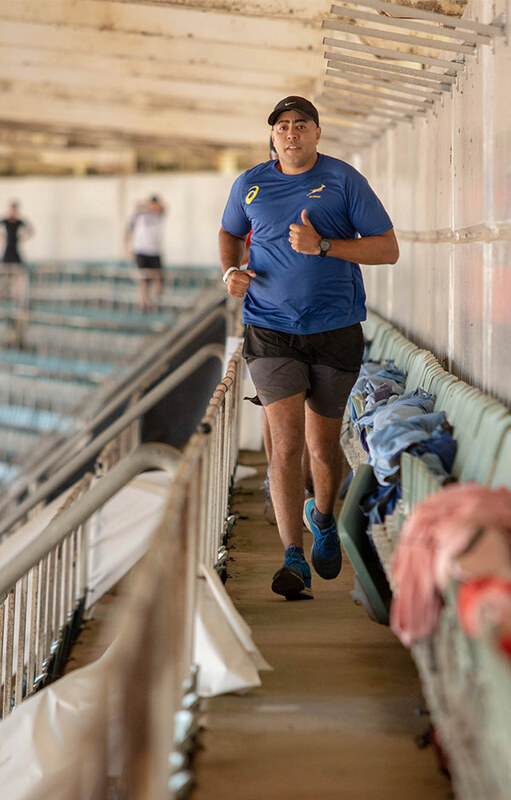 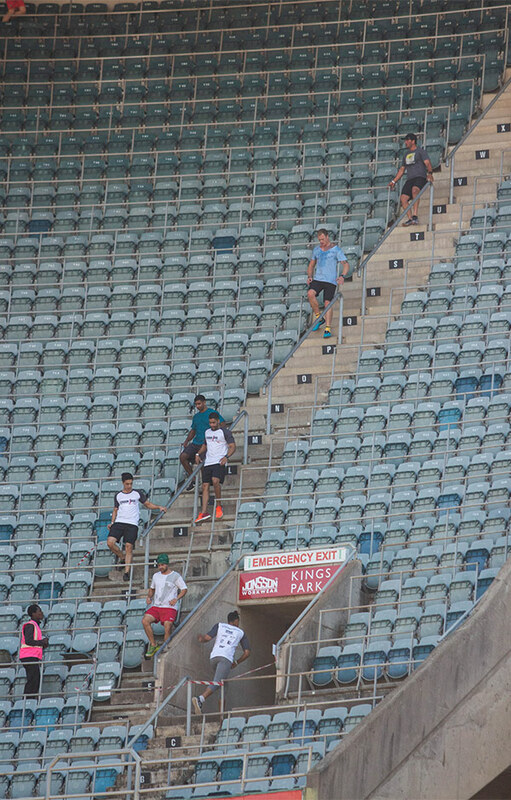 Spanning 4 Stadiums, the Kings park pool and Country club beach the competitors accepted the challenge without being monitored or penalized making it a personal race for each athlete as they took on each section with great enthusiasm. 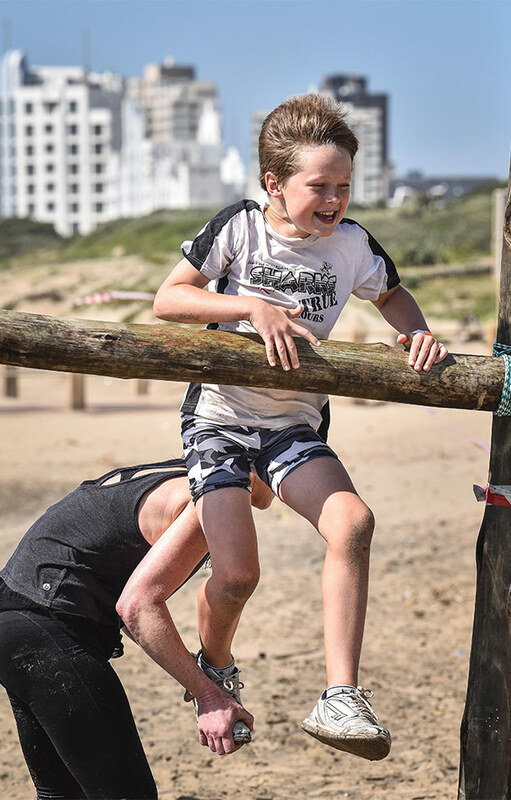 This led them to achieve beyond their own fears and abilities on this amazing course. 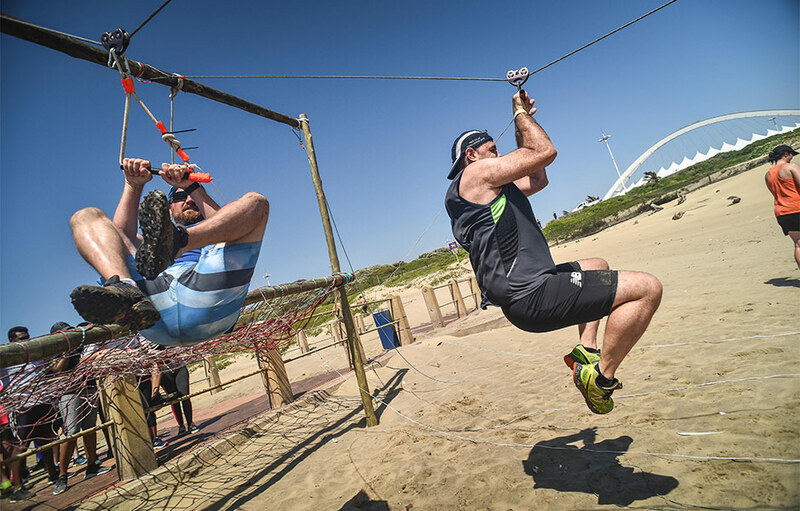 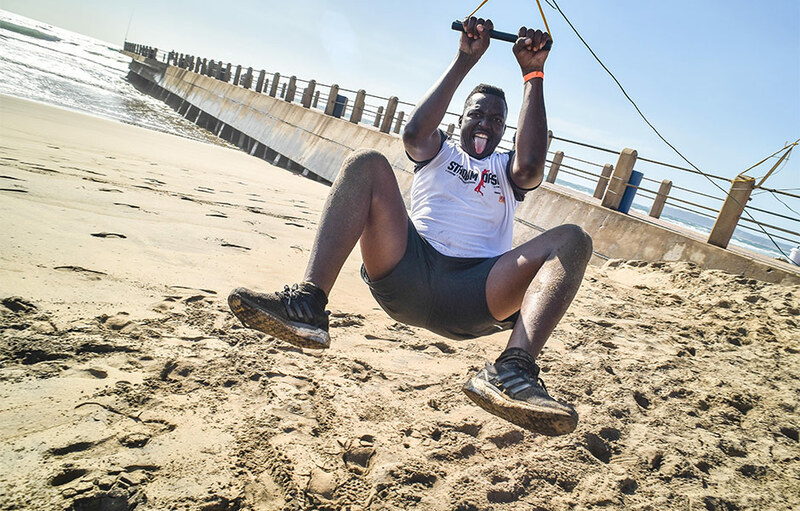 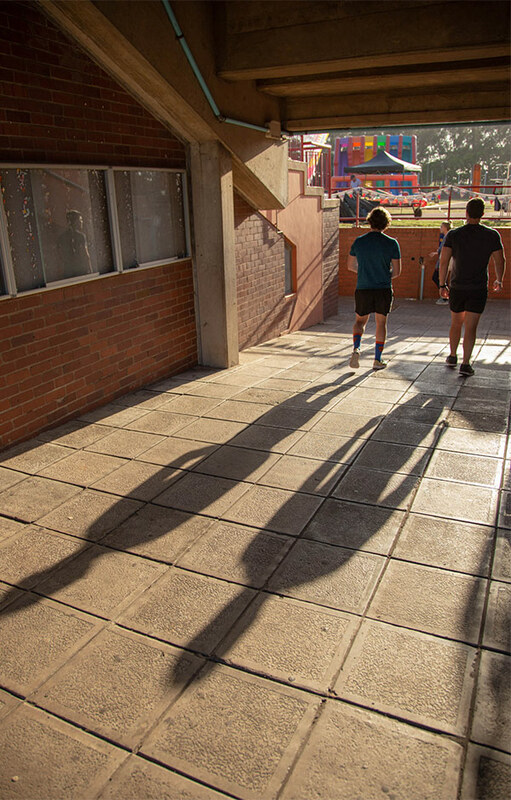 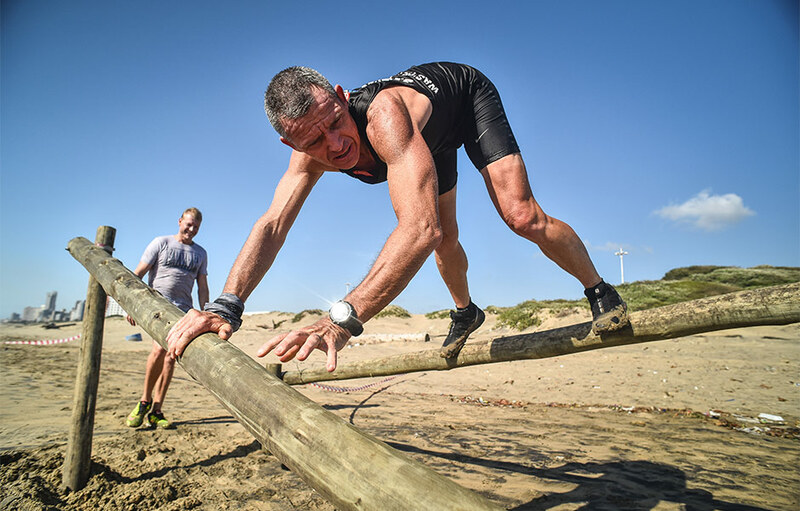 It was amazing morning with some of the best in South Africa taking part, corporate teams, families and weekend warriors looking to get fit in a new way. 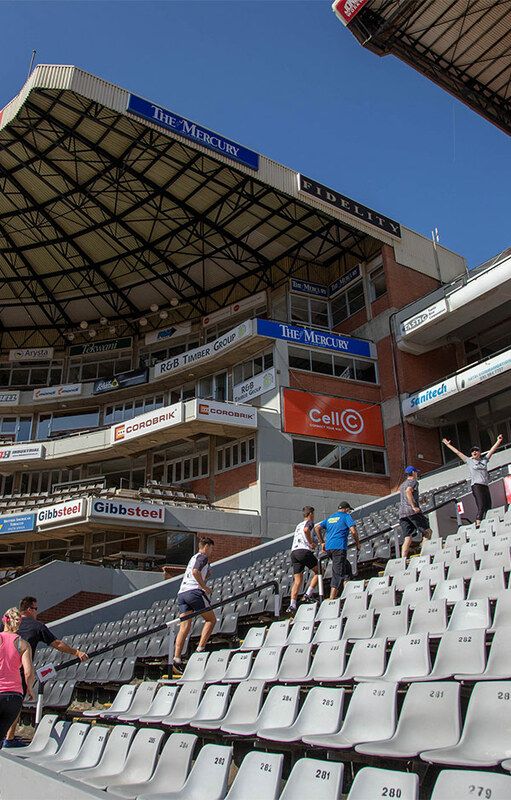 Some of the course took the racers through the Sharks Rugby tunnel onto the pitch and they got to see some of the memorabilia and treasures only seen by a select few. 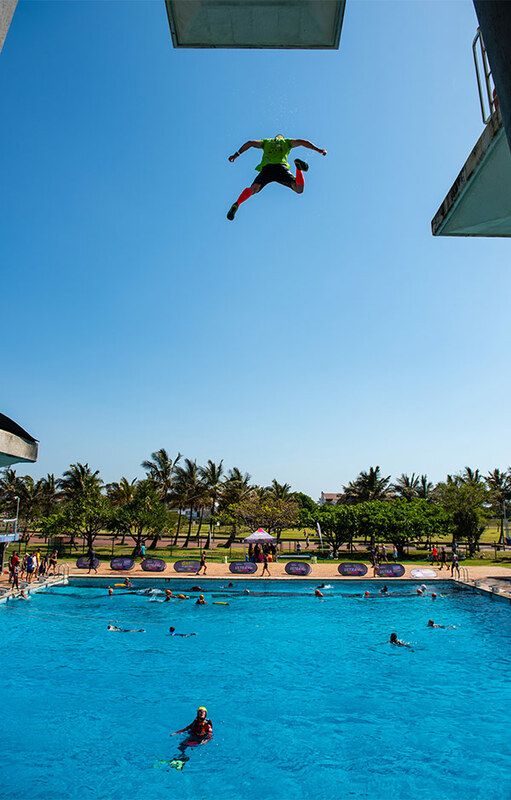 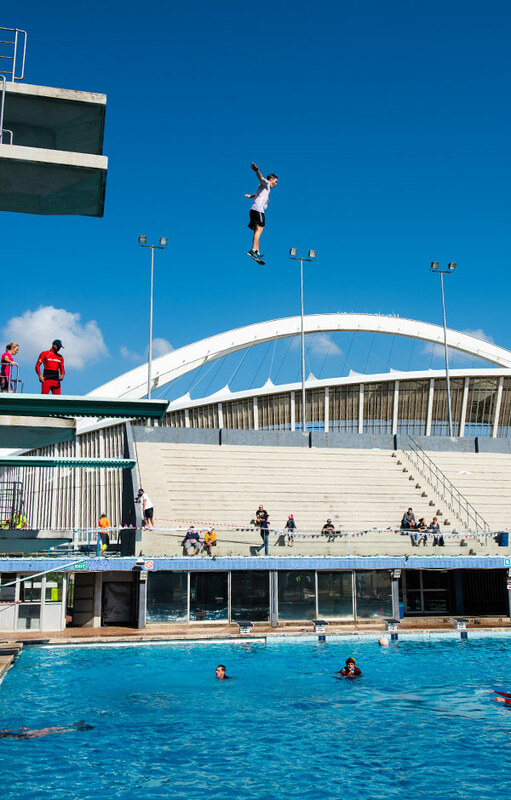 Then onto the Moses Mabhida Stadium which is always a treat for the eyes and onto the high dive boards at Kings park pool for a cool down. 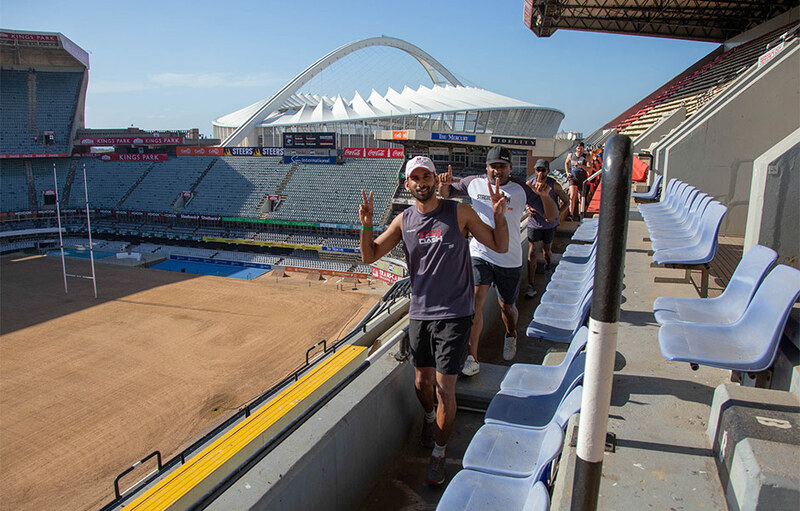 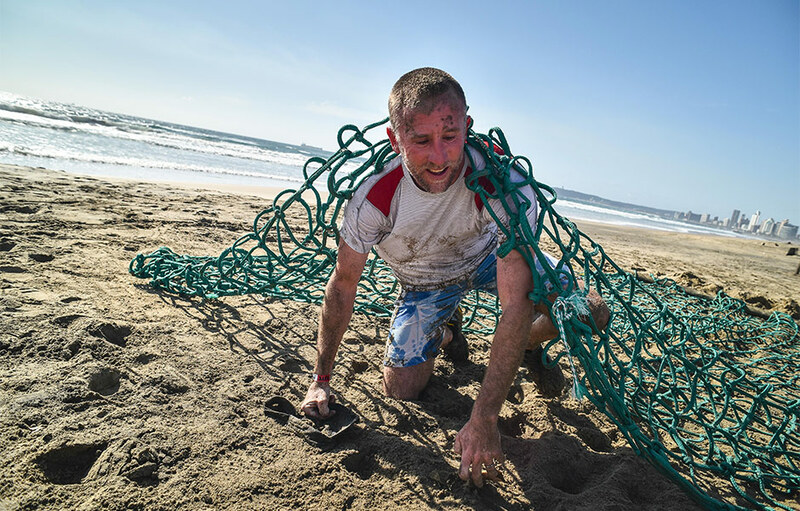 Then off to the beach for some Navy Marine type obstacles and finishing up on the Athletics stadium to collect their medals of participation and great memories and stories were shared at the finish line.